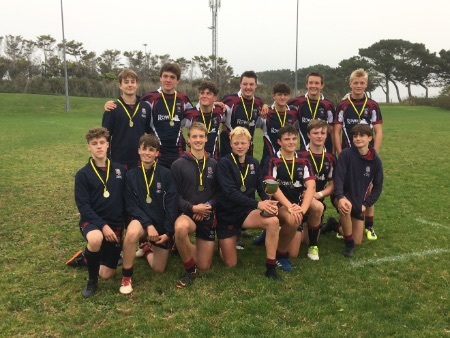 Despite missing a couple of very influential players today at the County 10 a side tournament at Newquay the U16 boys performed superbly. Beating Richard Lander (24-12), Fowey (48-5) and Newquay Tretherras (44-7) in the group stages set up a semi final against a very strong Penryn team. Going 12-0 down early in the game woke the boys up and they started to play some fantastic rugby coming away eventual winners 26-12. We met Newquay Treviglas in the final who were a very big and direct side who gave us a very different challenge to anything we had met throughout the day. But the boys tackled brilliantly and worked the ball wide to play to our strengths and won 17-0 to be crowned County Champions. Well done to the whole squad who all played their part.